Apply two "squash-folds" of the step #10. Prepare to apply two vertical valley-folds. 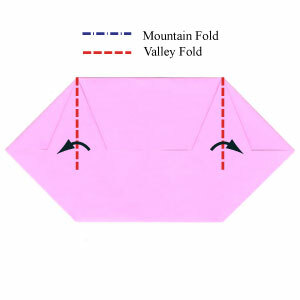 Apply two vertical valley-folds of the step #11. 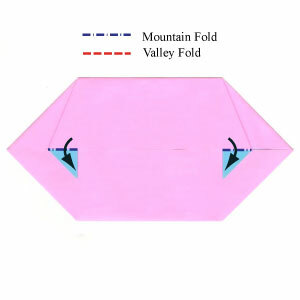 Prepare to apply two mountain-folds. If you have a difficulty in these steps, you are welcome to write a question below.